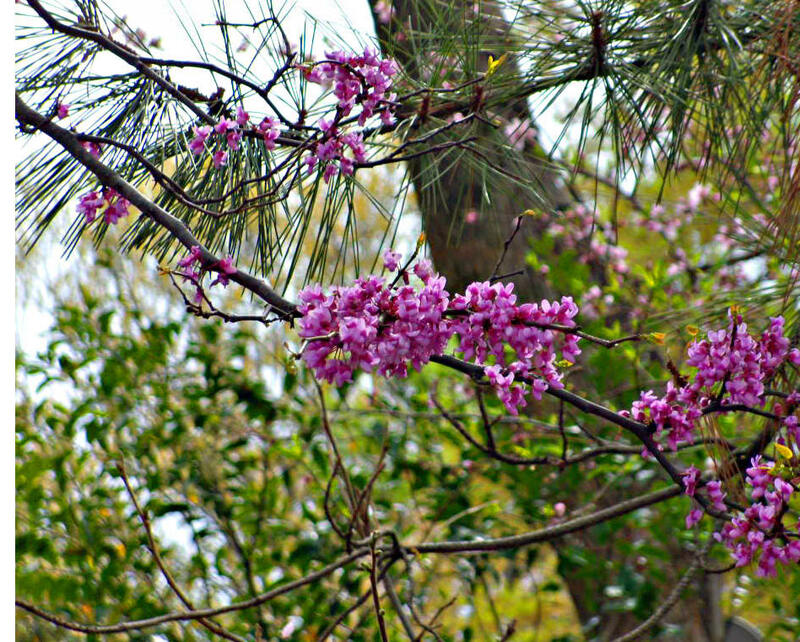 a spring time saga "Red Buds in Review"
whose blossoms take us on the exciting journey to spring. how fun! I love your bravo! Nice nice nice... we have a ways to go for this in Michigan. Hey, where have ya been? I missed you! I want to lay underneath them. i wait for it every year. Beautiful! Another wonderful performance by mother nature! I'm so whining....I want flowers to photograph and we still have NOTHING but brown grass around here....arrghhh !!!! I am soooo jealous. We are not nearly this far along. Everything has a hint (barely) of color, but still a lot of grey and brown. well just look at you going out and capturing those lovely pink blossoms! i went on my awn search yesterday and found only a small number of bursting buds and although i haven't l looked a the em yet i just know they are not as lovely as this riot of pink! Yeah, Spring! It's all around me here and it's so invigorating!!! I second that "bravo" to mother nature! Gorgeous spring colors. So hopeful and uplifting! That literally took my breath away! I needed to decompress yesterday after a hectic 8 hours of work, so once I was done, Cody and I went for a walk. I was super surprised to see some brightly colored buds blossoming! I have seen any red buds yet. Gorgeous! I had a red bud tree, but it died last year. I was so sad - the blossoms were so beautiful - Just like your photos! 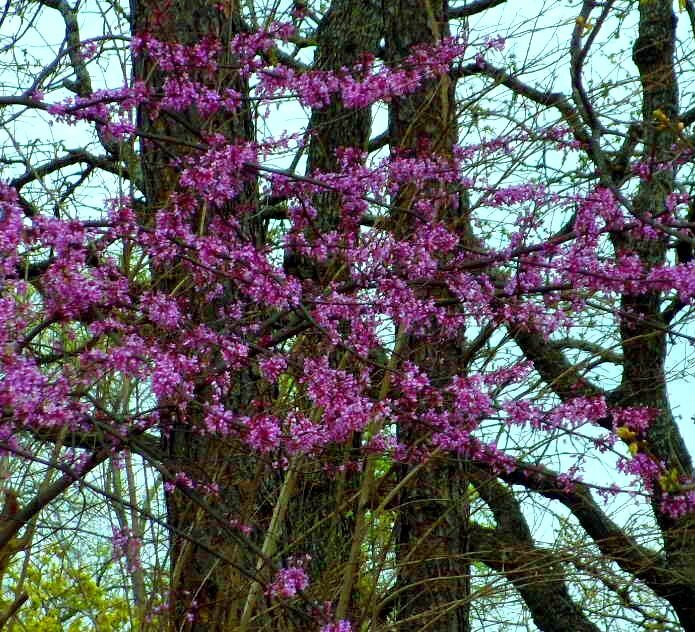 I absolutely adore red bud trees and there are so few here. When we lived in Virginia, it was so surprising to see them EVERYWHERE. And now when I see them like this, it reminds me of the sweet and short time we spent living in a state that I absolutely love, when my children were young. Thanks for this. I really feel so much better now! Wowee! I do think Mother Nature is showing off at the moment! You captured this so beautifully! I cannot figure out why I always get the notice you've posted a new blog so late??? it's crazy but I never see it until much later. It's like the spring break one I can now see - but it won't let me comment. Anyway - these are gorgeous shots. 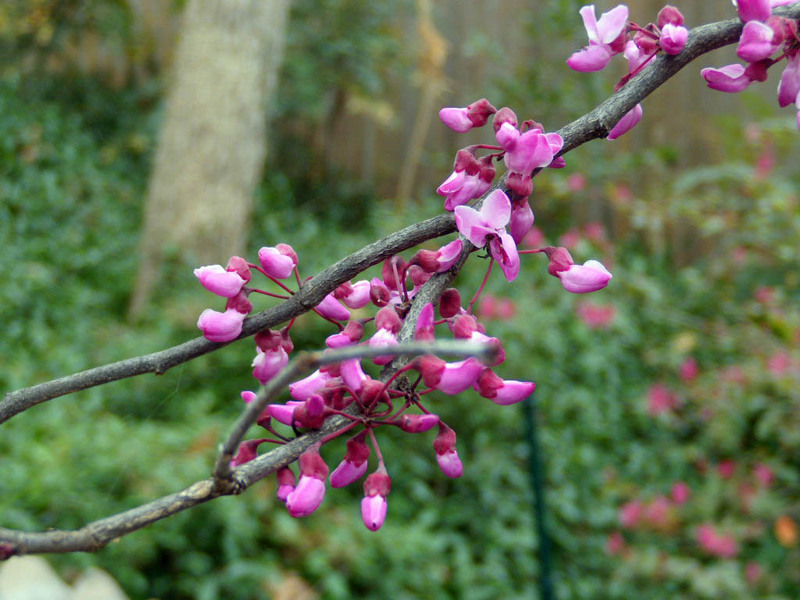 Your redbuds are much fuller than mine were - perhaps your tree is older? lovely! You began this blog as a good photographer, but I tell you, my friend. You just get better and better. ah, why can't mine bloom like that? these are so gorgeous and you are so clever with your posts.